Heroin is a powerfully addictive drug that can lead to intense cravings to keep using it. Heroin addiction treatment, including behavioral and medication-assisted methods, can help you to stop heroin cravings. Signs and symptoms of cravings include an intense desire to use heroin, daydreaming about using and physical signs, such as a pit in your stomach. Behavioral treatments can help strengthen motivation to quit heroin use. Heroin withdrawal is extremely uncomfortable, but medically supervised detoxification can help to manage unpleasant symptoms, as well as help prevent relapse. Heroin cravings can last for years but will likely happen less often and be less intense over time. Who Answers? to get more information on treatment programs for heroin addiction that include detox and medication-assisted treatment. Repeated use of heroin changes the way the brain functions, which can lead to powerful cravings. No matter how motivated someone may be to quit heroin, periodic cravings for the drug are very common. The onset of a craving doesn’t indicate a failure in recovery, nor do they necessarily indicate that relapse is imminent. A craving can be described as a powerful urge or compulsion to use heroin again. Different people experience heroin cravings differently, but there are some common symptoms. An intense desire to use heroin, marked with difficulty focusing on anything other than getting and using heroin. Vivid daydreaming about using heroin – practically being able to smell, taste and feel the sensation of consuming heroin. Undesirable emotions, including anxiety and intense boredom. Physical signs, such as a pit in one’s stomach or a racing heart. Why Do I Crave Heroin? Strong connections in the brain from previously using heroin, especially tied to circumstances that were formerly linked to heroin use, such as having money, being with certain people, being in specific places and feeling particular emotions. A desire to re-experience the pleasure of being high on heroin. A need to stop the symptoms of heroin withdrawal. 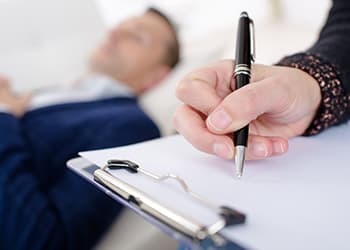 Cognitive behavioral therapy helps you develop insight into how your thoughts, feelings and behaviors are related to your drug use as well as healthy coping skills to abstain from drug use. Motivational interviewing helps elicit and strengthen intrinsic motivation to change. Contingency management provides rewards for positive behaviors, such as abstaining from heroin use and having negative urine samples during routine drug screening. Support system. Talking to your support system, which may include family, friends, a counselor or a sponsor from a 12-step program. Distraction. Distracting yourself by engaging in healthy and rewarding activities, such as exercising, playing with a pet or engaging in a creative outlet such as writing or playing music. Mindfulness. Practicing mindfulness in “riding the wave” of a craving or recognizing that you are having a craving and letting it pass. Self-talk. Using positive self-talk, including reminding yourself of the negative consequences of drug use and that the craving won’t last forever. How Is the Drug Made? Three main medications may be prescribed to help ease heroin cravings and suppress withdrawal symptoms: methadone, buprenorphine and naltrexone. Pharmaceutical intervention for heroin addiction management is a type of medication-assisted treatment. Methadone is an opioid medication that activates the same brain receptors as heroin, albeit in a controlled and less powerful manner. Methadone is taken orally, producing a slow release of its effects, which decreases the chance of feeling a high. You may still miss the high, which is why accompanying treatments are important. Medication-assisted treatment for heroin addiction involves working with a doctor to find the dosage that will suppress withdrawal symptoms and cravings with few side effects. Until the ideal dosage is determined, you may still experience cravings. Finding the right dose usually takes between a few days to a few weeks. While cravings and withdrawal symptoms should mostly be eliminated as part of medication-assisted therapy, you may still have a desire to use heroin because you miss the high. This is why accompanying treatments are important. They help you find other ways to experience pleasure and feelings of happiness. When you first quit heroin, you go through a detoxification stage, where your body and brain adjust to not having heroin. Without medication-assisted treatment, you will likely experience extremely unpleasant withdrawal symptoms during this period. Cravings are often the worst during detoxification. Your brain has adapted to and expects heroin usage, and using heroin again will stop withdrawal symptoms. While heroin withdrawal is exceptionally uncomfortable, it is not life-threatening. However, medically supervised detoxification is recommended to avoid relapse as well as other complications of withdrawal. Stomach pain, nausea and vomiting. Withdrawal symptoms from heroin usually start 8-12 hours after the last heroin usage, peak around 24-48 hours after the last use and subside after about a week. However, some people experience withdrawal symptoms for many months. 1 Because of the changes in brain chemistry caused by heroin addiction, you may continue to have urges to use heroin for years after stopping use. However, over time, cravings will become less frequent, less intense and easier to overcome. Why Do People Who Use Heroin Crave Sugar? Using heroin activates receptors in one’s brain that induce a taste preference for sweet foods. Do you or a loved one need help overcoming heroin addiction? Locate a recovery center in your area by calling to speak with a treatment support representative at 1-888-319-2606 Who Answers? .